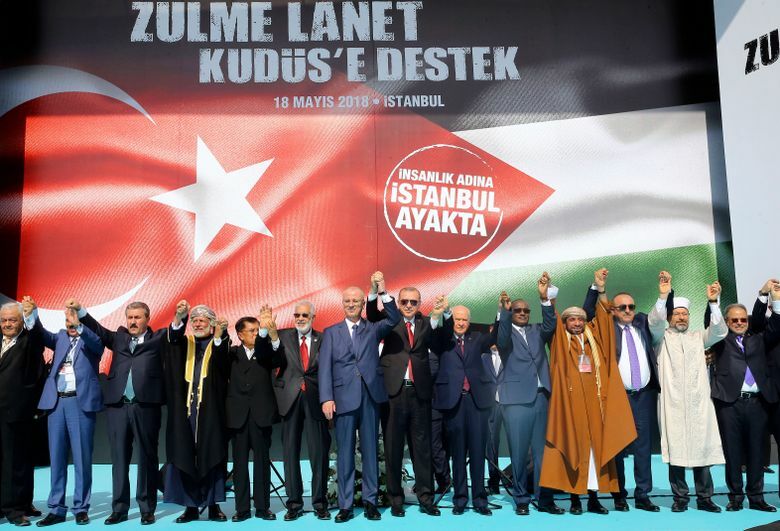 ISTANBUL (AP) — Muslim nations on Friday condemned Israel and the inauguration of the American embassy in contested Jerusalem as a “provocation and hostility against” the Islamic world, while Turkey’s president called for action, including a peacekeeping force. 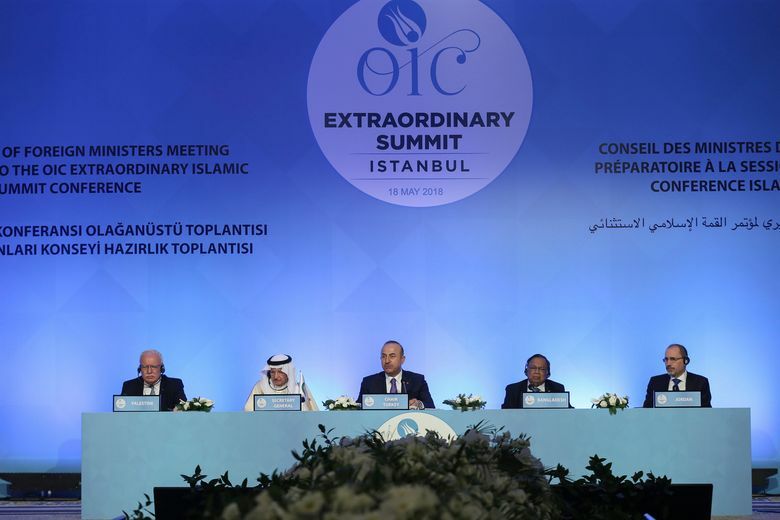 A final communique from the Organization of Islamic Cooperation summit in Istanbul “reaffirmed the centrality of the Palestinian cause” after Turkish President Recep Tayyip Erdogan, the rotating term president of the OIC, called an extraordinary summit. The call came on the heels of a week that has seen Turkey take a leading role in condemning Israeli actions in Gaza — Monday’s killing of 59 Palestinians and wounding of hundreds of others was the deadliest day of cross-border violence in Gaza since a 2014 war between Israel and Hamas. 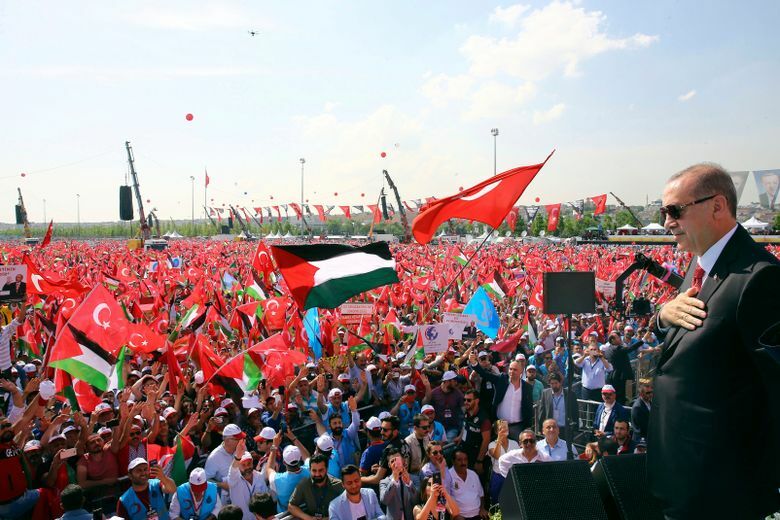 As part of its efforts, the Turkish government organized a massive rally and the OIC summit, in a show of solidarity. Speaking at the closing of the OIC late Friday, Erdogan said the international community “must stop watching the massacres from the bleachers” as Palestinian youth are killed by “Israeli terror,” proposing an international peacekeeping force. 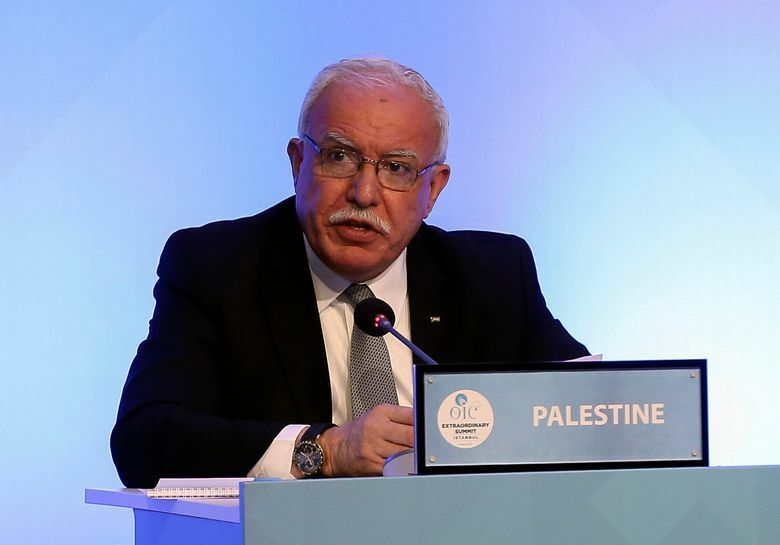 In its declaration, the OIC said Israel committed “savage crimes” with the backing of Donald Trump’s administration, emboldened by the United States’ decision to recognize Jerusalem. Palestinian Prime Minister Rami Hamdallah criticized the U.S. for becoming “part of the problem and not the solution” and thereby disqualified itself as a peace process mediator by infringing on the Palestinians’ “historic, legal, natural and national rights” with Monday’s embassy move. Iranian President Hasan Rouhani spoke earlier as participants broke their fast for Ramadan, calling the Trump administration a “dangerous threat” to global peace and security. Rouhani said Muslim nations should consider “revising” political and economic ties with the U.S., and called on the international community to “cut ties” with Israel and boycott it through trade. Erdogan also urged member states and others to prevent Israeli products produced in “illegal Israeli settlements” from entering their markets. The Islamic organization also told its members to fall in line and “commit to voting for our common cause” of Jerusalem or risk punitive measures. Turkey’s foreign minister had criticized certain members for voting against, abstaining from or not showing up for a United Nations motion in December — some 128 countries overwhelmingly supported the U.N. against Washington’s decision to recognize Jerusalem as Israel’s capital. Before the summit, Erdogan slammed Islamic countries that failed what he termed “the Jerusalem test,” saying “all we Muslims do is condemn” and not unite. 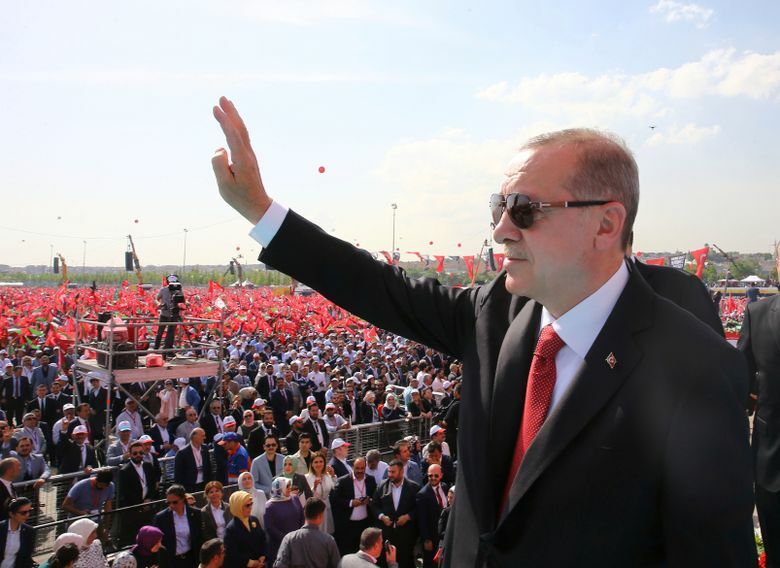 Erdogan said Muslim countries were “severe, intolerant and unconscientious” to each other and “toothless and cowardly” to unspecified enemies. He later struck a more conciliatory tone. 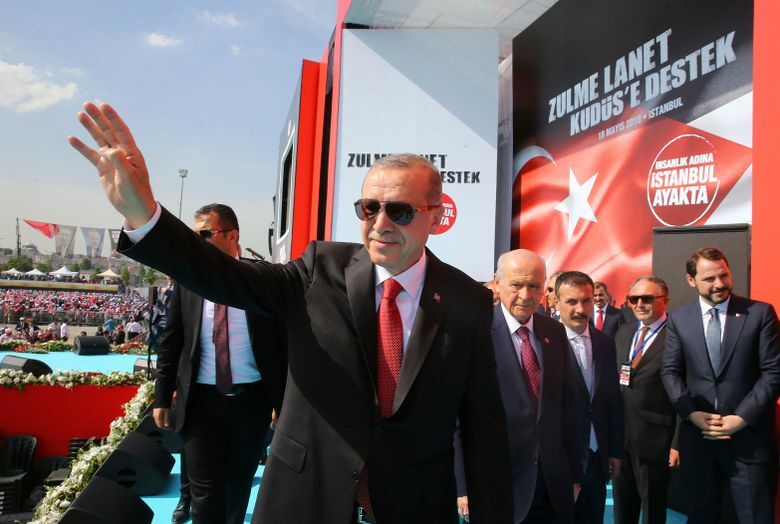 Turkey’s role in condemning the Israeli actions in Gaza has led to a diplomatic spat with Erdogan and Israeli Prime Minister Benjamin Netanyahu, who traded barbs on Twitter and temporarily expelled senior diplomats. Nasser Karimi in Tehran contributed to this report.